The smart, space-saving solution to any healthcare establishment, the Alluserv CBH2 two stack wax base heater serves as an outstanding combination of convenience, utility, and mobility! Ideal for use in hospitals or retirement communities, this versatile item consistently heats bases to prepare them for serving warm food. Each of the unit's two dispensers can accommodate a 27'' stack of 9'' wax bases and are also self-lubricated for smooth, effortless dispensing. 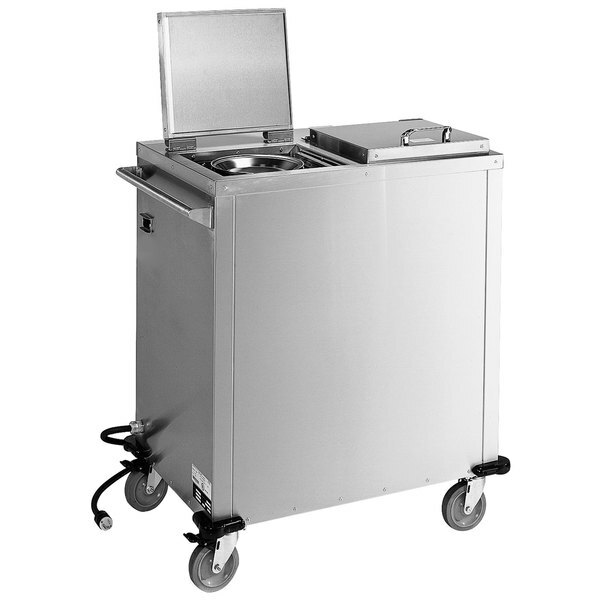 Boasting 18 gauge, 300 series stainless steel construction, this cart is durable enough to last through years of high volume use and can also be cleaned and sanitized with incredible ease. All sides and the top of the cabinet feature fiberglass insulation in order to conserve energy and maintain an internal temperature of up to 310 degrees Fahrenheit. Additionally, an automatic high-temp shut off protects the cart from overheating. 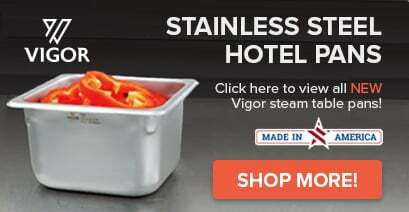 A unique lid design does not require gaskets, reducing the time spent on upkeep and maintenance, while a 1'' diameter stainless steel push handle and integrated corner bumpers serve to protect walls and furniture from bumps. This unit is also fitted with four 5'' swivel wheels with non-marking cushion tread, including two with brakes, for unparalleled mobility. Thanks to a versatile and compact design, the Alluserv CBH2 wax base heater is perfect for serving applications of any size or style. This unit requires a 208/240V electrical connection.